Watching some videos on youtube and noticed airsoft mike is currently sponsored by this website. 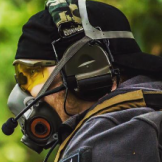 now I have purchased some new goggles and a dump pouch today and they state it will be shipped within 2 business days, the issue I have is there is no delivery day as of yet but I will keep you all posted if this website is any good. They're good but they're a drop-shipper from Hong Kong, so don't expect quick delivery. Also, not all of their goggles are properly safety rated - make sure they are before you use those to protect your irreplaceable eyes. the googles and dump pouch turned up last week on Thursday, well packed and earlier than anticipated. the googles work and the fan helps to fogging to a minimum but not completely prevent it, they also stopped my CM16 at point blank with just a small mark being left. Any shopping experience on us Tinywind.com? We are glad to hear your voice. Yep. I ordered a few bits. Quickly shipped, products are good, no problems there, I will order from there if I need something. The only annoying thing with the webshop is that clicking on a product opens it in a new tab.